I love succulents, they're so pretty to look at and super easy to look after. I'm not a natural gardener, I don't think. Although I've grown up around enthusiastic greenfingered family members, I've never had much success with my own plants. 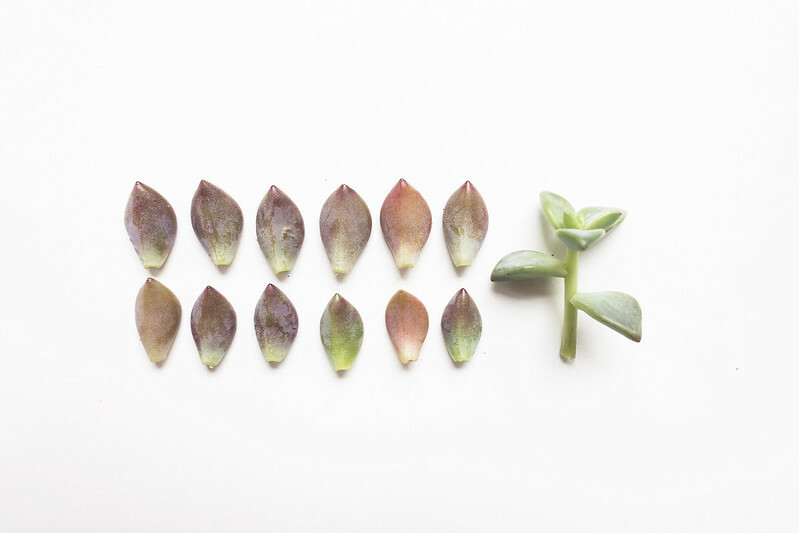 It's only recently that I've plucked up the courage to proactively propagate my succulents. 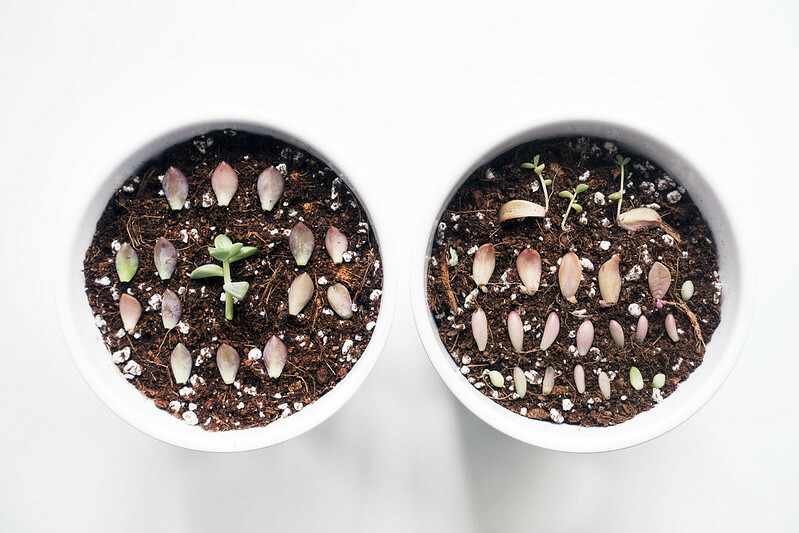 Needles and Leaves offers a coprehensive guide for propagating succulents, which I followed to the word through fear of messing up. Pulling off leaves and decapitating the heads of these little plants seems unnecessarily cruel until you realise you end up with twice as many as you started with, maybe even more. I now have two pots full of little potential new plants, fingers cross they all take root! If you enjoy reading my blog, please consider supporting what I do. this looks lovely. this is gonna take a while but worth trying! I've been wanting to get some succulents recently as well! Plants make me so happy and they really add so much to a room. It's like bringing in sunshine :) This is so cute, I never knew you could break them up like that to get even more succulents! Oh I might try this with my succulent, I'm not a natural gardener either but my current succulent seems to be surviving well! I love plants and succulents are the best, they do not need much care. Their colors and shapes add more life wherever you put them. 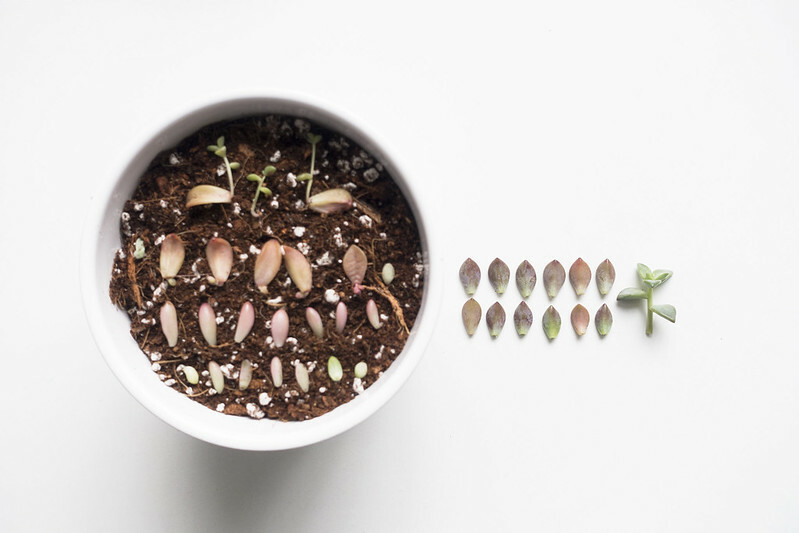 If you put them together with other plants in the same pot, the better, create a set of unique color. Your post reminded me that I have to go to the market to buy more succulent and other beautiful plants. Succulents are so cute and easy. You can always fill a shadow box with soil, cover it in chicken wire, plant your succulents through the wire, and hang it from the wall as an art piece. Have you heard of Honeyberries?! Apparently like blueberries but the health benefits are so much greater! I love succulents, they're super pretty little plants and so easy to care for. It's so easy to do and all of mine have now sprouted! As long as I stick to hardy plants, I'm OK but I've had a few ferns and ivy plants, which have just died :(( I guess it just doesn't come naturally to me and I'm not attentive enough. I'm really excited to see the babies grow. All the ones shown above have now sprouted! They grew much faster than I anticipated, I think because my apartment is SUPER sunny. They definitely do! All of these little ones have sprouted already and they're growing so fast now. I'm super excited to see them grow into big succulents. ooh thanks for sharing, really wanna give this a go! Thank you for taking the time to read this post and leave a comment - I read and respond to as many as possible. Please feel free to leave a link to your blog but please do not advertise or post links to giveaways, these comments will be deleted. Thank you. I'm a writer and jewellery designer based in Birmingham, UK. I write about living a low waste, plant-based, simple lifestyle here on A Considered Life. © A Considered Life. Design by FCD.